For a nail art with brilliant colors, test our pigment maniac. 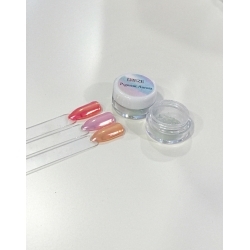 This pigmented powder add so much style to your fake nails! 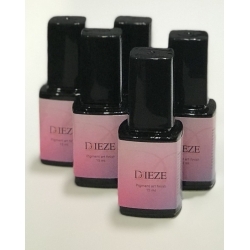 Dieze's advice: Put a gloss gel without residue (Krystal Finish) on your colored artificial nails (use a black gel or other color gel). Spread a bit of pigments on top of it and then massage gently. Dust the nail before adding once again a layer of gloss gel Krystal Finish to seal well the pigment maniac. Let you be seduced by these new mirror effect pigments. Discover this palette of colors that all your clients will love!